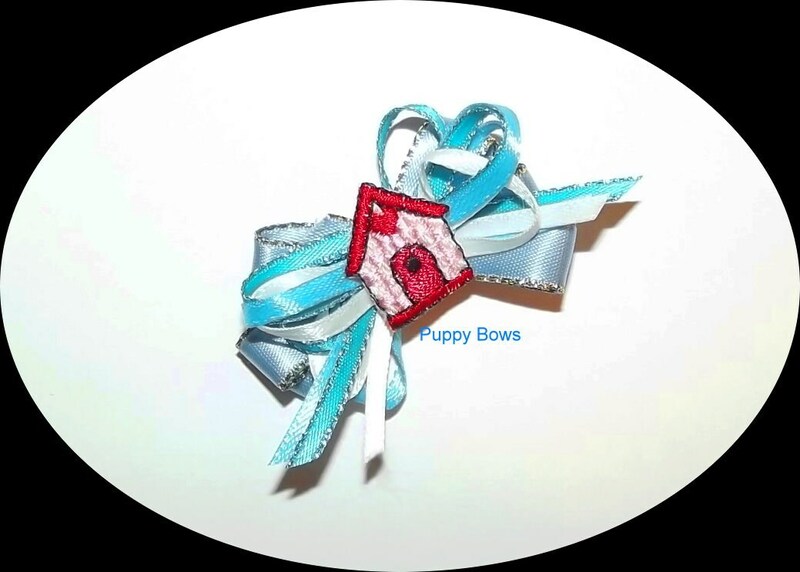 Blue multiloop bow with dog house applique. 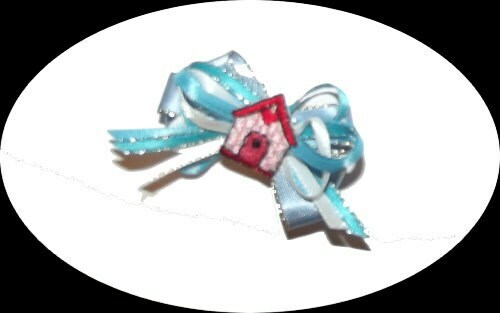 Hand sewn, your choice of bands or barrette. 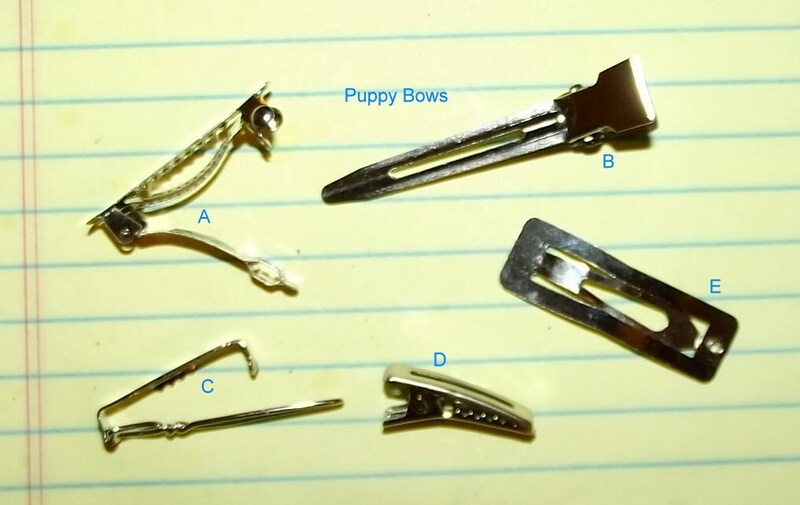 Measures about 1.5" x 1"